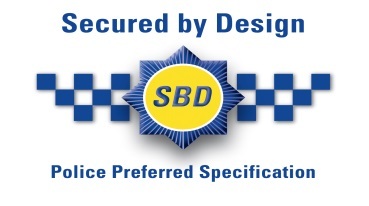 Following the introduction of Building Regulations Approved Doc Part Q – Building Security, there is specific reference to SBD Design Guide “Homes 2016” as a cross reference document for reference to the correct performance specifications covering Communal Entrance Doors and Entrance Screens. The required standard for Accessed Controlled Doors is either STS202 BR2 or LPS1175 SR2 Level of Burglary Resistance. A lower specification of PAS24:2012 may be applied at the Crime Prevention Design Advisor’s discretion based upon low crime and / or rural area and using manual locking only. Door opening mode, operation and designs should all also be as the fully tested model. Break Glass Exit devices are no longer acceptable due to constant abuse. Instead VR stainless steel self re-setting emergency exit buttons are to be installed. There are also Management and Maintenance Protocols to be adhered covering the door entry, access control and cctv systems. Depending upon the building foyer layout, there is a need to form a secure lobby with secondary SBD Compliant Controlled Doors protecting entry into the building core or a Postal Letter Box Bank fitted within the external Entrance Screen. This should offer the same physical protection level as the door / locking system / glazing / access control panel so that the entire assembly has a continuous performance level.